While working on an NSX-T project I got the question from the customer to deliver some firewall and network automation based on PowerShell. This to help them ramp up the creation of networks and firewall rules. I pointed them to the PowerCLI Preview for NSX-T, but I wasn’t aware that this fling only was able to retrieve information from NSX-T and not create items/objects. So, how can we do this then? I knew we were able to manage NSX-T since PowerCLI version 6.5.3, but how does this work? Only 3 commands? Yes, only 3 commands! Because of the simple reason that with the 3rd command you have full access to NSX-T’s public API! And therefore you’re able to retrieve and create items/objects. In the blog article Kyle also gives some examples on how to Retrieve Transport Zone Information or perform Logical Switch and IP Pool Management. But how do we create an NSGroup or a Distributed Firewall Section? This post contains some additional examples and I’ll update this post as new scripts will come along. When you add a PowerShell host to vRealize Orchestrator (vRO) you are able to kick-off PowerShell scripts from your vRO workflows or just from the vSphere WebClient! Which can make your day to day work so much easier. 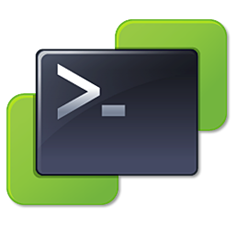 So here is a short post about how you can add a PowerShell host to vRO. In the past I had some issues with the vRO v1.0.5 Plug-in and the default realm so please check which vRO PowerShell Plug-in you are using! 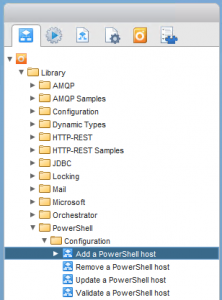 Then logon to your PowerShell host and configure Windows Remote Management. Now the PowerShell host has been configured the PowerShell host can be added to vRO.